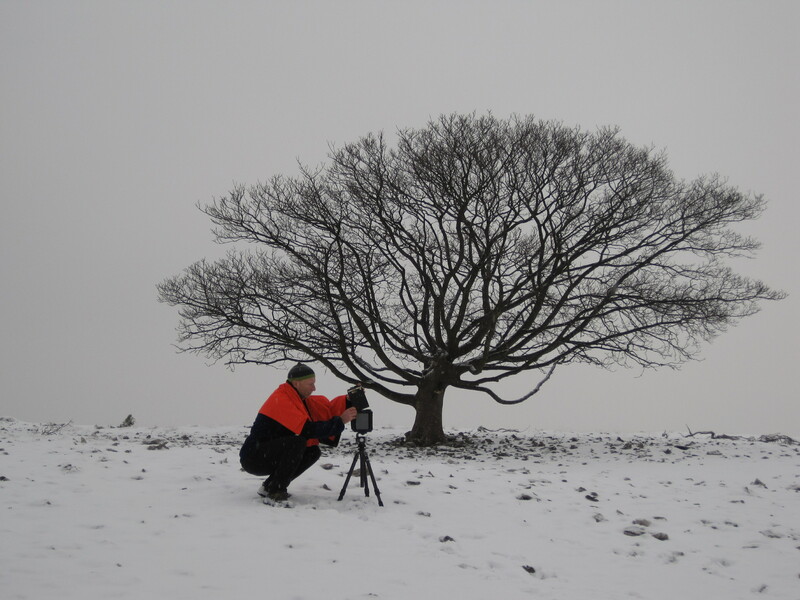 Here's Rob taking the first five-by-fours of the first tree of the seven trees - part of our project 'Seeing Seven Trees. We'll be journeying to seven trees, once in each season, over the coming year. Each tree isolated, a seed dropped into harsh surroundings, and now growing strong. This one tree, only, that endures for me. Playful in powder over ferns.